Welcome! Welcome all, old friends and new. 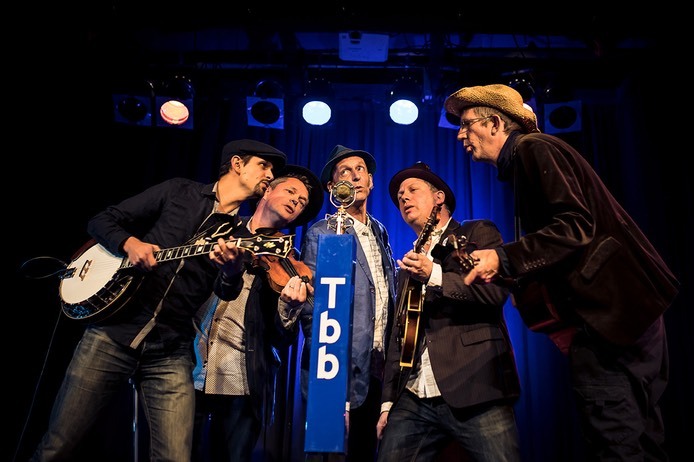 Out and about bringing our own version of bluegrass to venues big and small accross the UK and beyond, using one microphone, five instruments and voices which blend together to make a highly traditional yet thoroughly original sound. 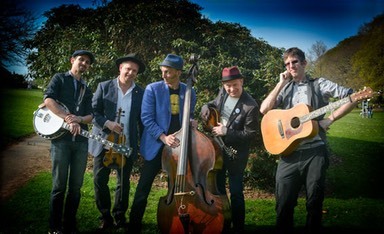 Honest all-acoustic music featuring fiddle, banjo, guitar, mandolin and double bass. Some classics, some covers, and many self-penned, there is something for everyone. Come and see us, and say hello!